FAMILY TIME: Goldin Farms mare Pandora De Lago, with her colt foal by Sepoy, enjoying the sunshine. The sight of mares and foals frolicking around Goldin Farms (the former Lindsay Park Stud) signals a significant stage in the stud’s rebirth. Lindsay Park Stud was world famous and now, Goldin Farms is in the early stages of creating its own image. Stud manager Andrew Perryman said it was an exciting time of the year. 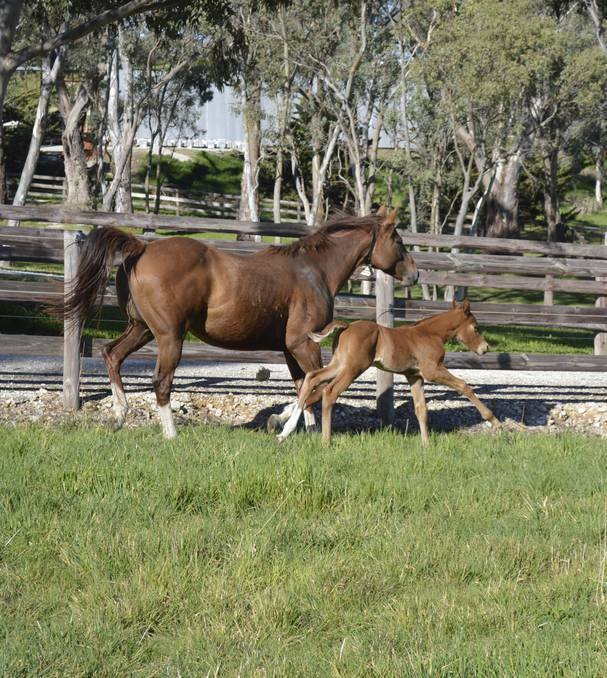 “With the mares foaling and Akeed Mofeed already working, it is very busy,”Andrew said. “He served three mares on September 1, and was up to 10 before the end of the week. 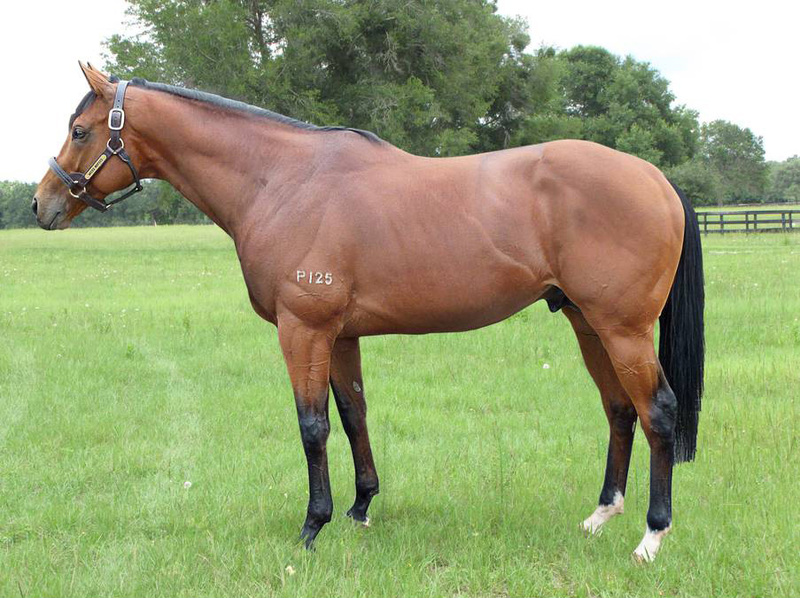 “The stud had an open day recently for invited guests, and stud owner Mr Pan Sutong flew down from Hong Kong for the day. Akeed Mofeed was a multiple Group One winner of the Hong Kong Derby and the Hong Kong Cup, with a Timeform rating of 122. He is now the foundation stallion for Goldin Farms. Andrew said the stallion would be supported by about 40 of the stud’s mares, while there was also good support from local breeders. The entire was trained in Hong Kong by Richard Gibson. “A remarkable animal in physique, temperament and racetrack performance,” Richard said. Champion Hong Kong jockey Douglas Whyte is a fan of Akeed Mofeed. “When he was at his peak he was a force to be reckoned with internationally, and he was one of the best horses I have ridden,” Douglas said. ARRIVED: Goldin Farms’ foundation stallion Akeed Mofeed.